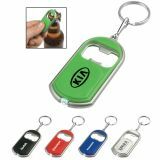 Custom keychains and custom bottle opener keychains are perfect to take your logo to the homes of your customers. 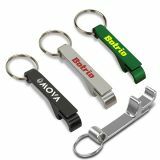 Being handy, these personalized keychains and bottle openers easily become an undeniable part of a person’s existence. 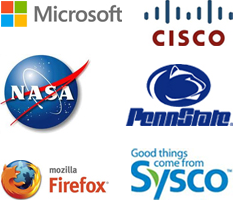 Your brand information will stand out making strong impressions. 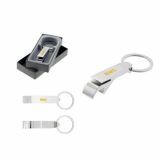 All our promotional keychains can be availed in bulk and offered in a best buy wholesale prices ever! Free shipping are offered on most styles.and 110% lowest price match guarantee offered. 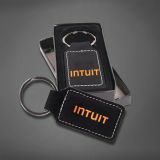 After giving away customized keychains, you can see your brand information becoming a part of their daily life. 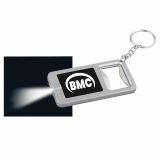 Many of these customized keychains not only serve as a key hanger, but also offers purpose as an alternate light source, bottle openers, lottery scratchers, hardware, etc. 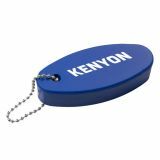 These customized keychains are perfect for businesses who are looking for creative promotional products at affordable prices. 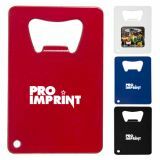 At ProImprint, marketers can select any printed keychains depending on their requirements, moods, budget and other preferences. 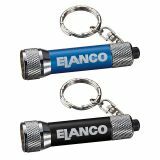 We allow them to custom imprint or laser engrave their initials or logo over these keychains. 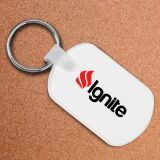 Consider these personalized keychains to be given during conventions, tradeshows, community programs, and other events. 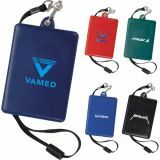 Your customers and clients would appreciate receiving a keychain, which becomes a great reminder of your service and business. 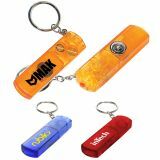 Moreover, whenever they are using their keychain for hanging keys or other purposes, they will be marketing your company! 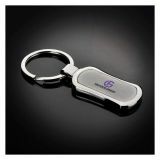 ProImprint carries customized key chains for all occasions such as wedding, birthday, party, wedding anniversary, etc. Our collection bears elegant metal designs and keychain gifts ideal as a gift throughout the year. Cuore heart shaped keychains, aluminum plated leather keychains, leather card and keychain gift sets are our hot sellers. These can proudly bear details such as names, quotes, dates and images. You can gift away these elegant keychains to family and friends as a keepsake item on special occasions. Don’t worry about overspending or exceeding your party budget but think about the smiles that it can bring on the faces of your loved ones. 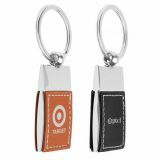 Unlike other wedding gift favors, these personalized keychains will remain in service for a long time. 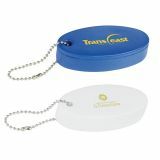 Our collection also bears great styles of customizable keychains perfect for niche specific marketing and party favors. 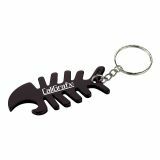 Remember, a thankful customer is the one who repeatedly buys from you, so make the smart decision about selecting any of these custom keychains for your next campaign. If you get confused about the right selection, feel free to reach out to our branding experts at 844-776-4677 or write to us at info@proimprint.com.